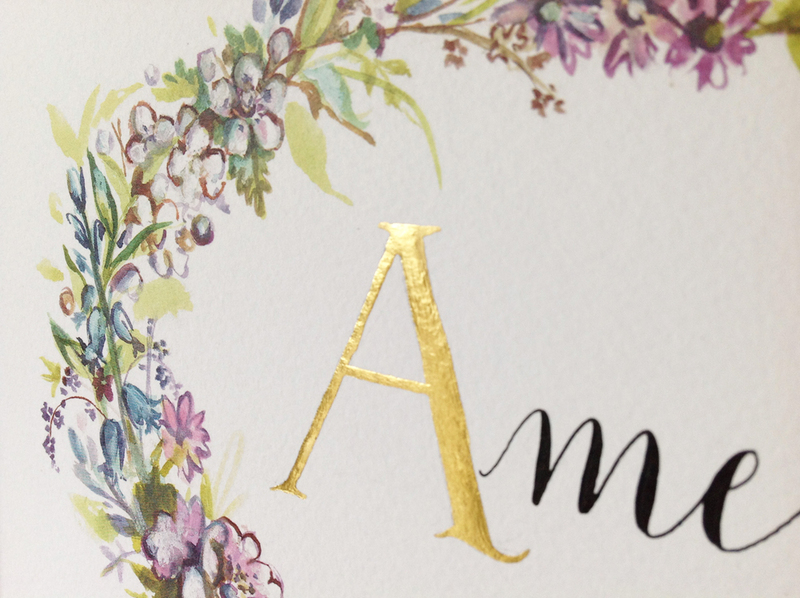 I’ve been ever so quiet over on Facebook this last couple of weeks as I worked on something beautiful with talented illustrator Amy Swann. 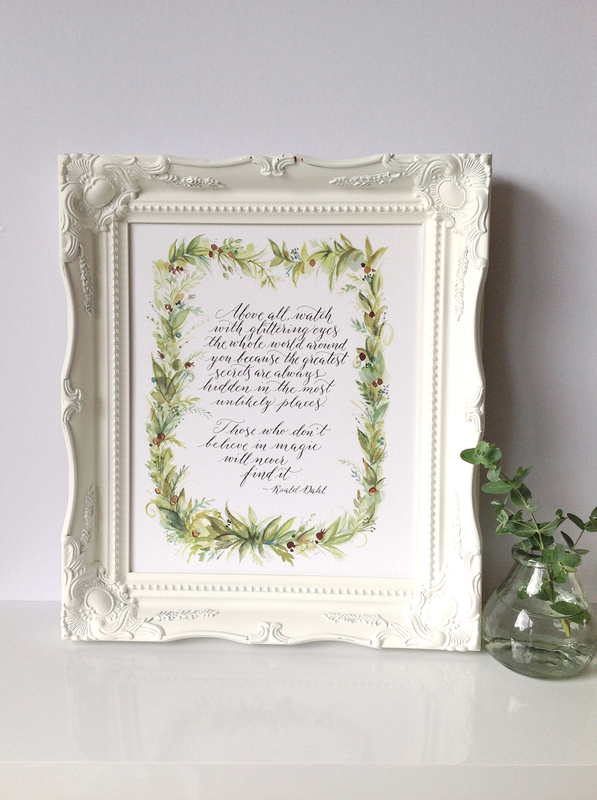 We’ve had our heads together designing a collection of beautiful illustrated calligraphy prints, which are now available for you to buy online from my Etsy shop and at Not On The High Street! 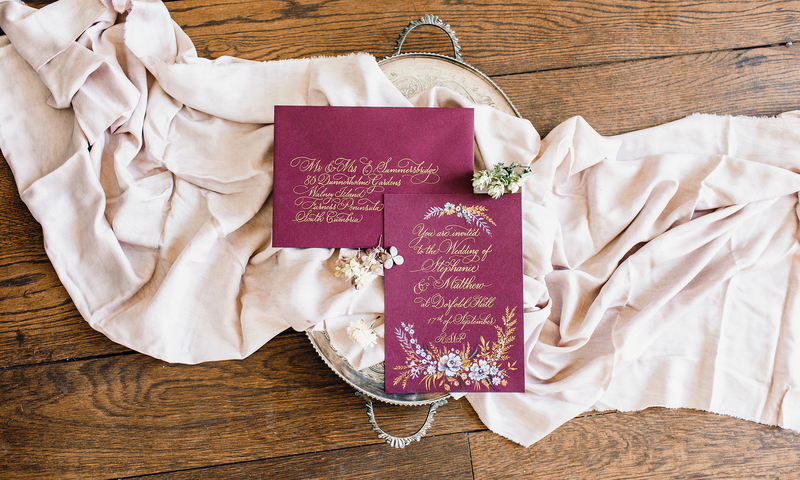 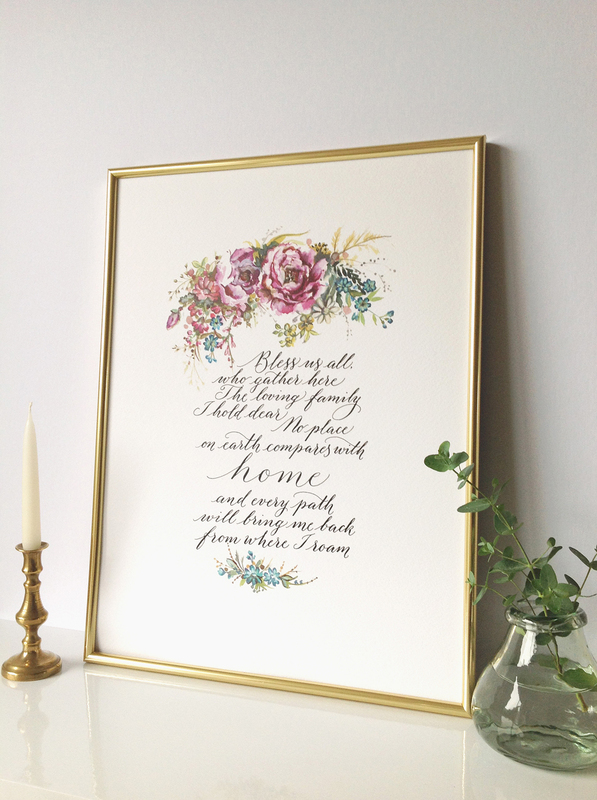 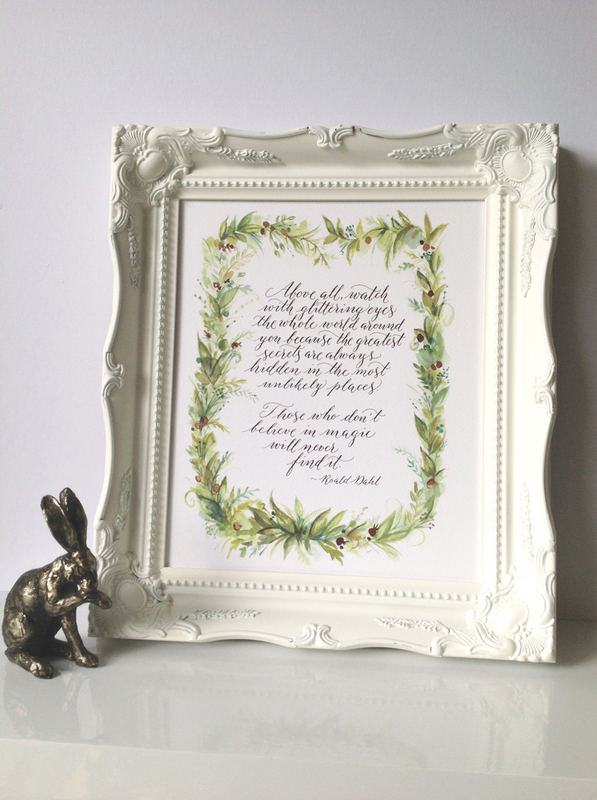 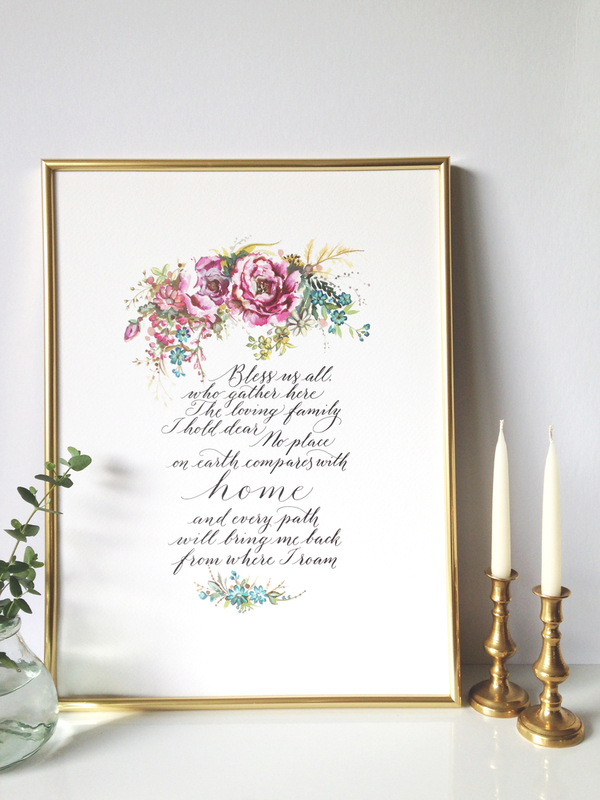 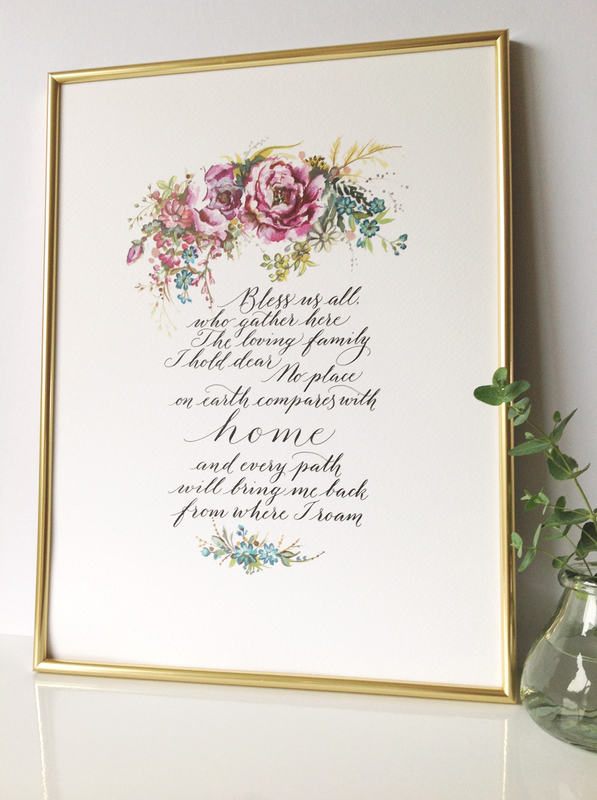 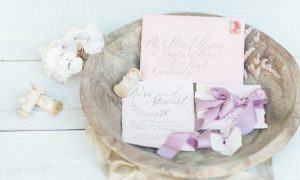 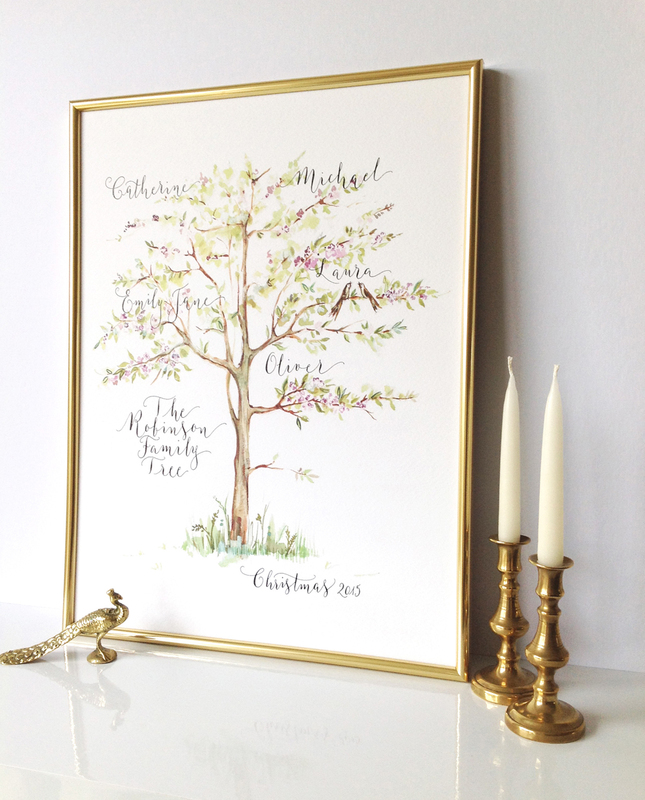 A beautiful illustrated calligraphy print to grace the walls of your home. 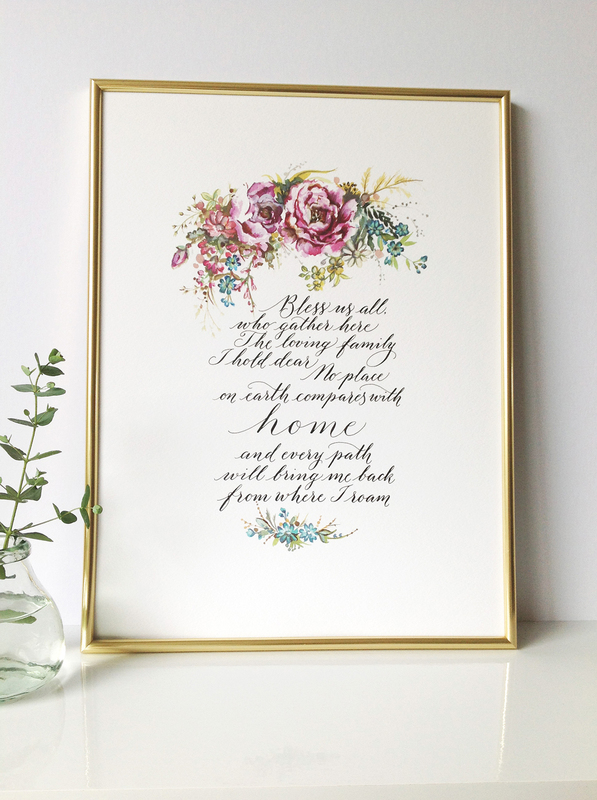 Buy this beautiful print from just £18 for a limited time only – be one of the first to own this lovely piece of artwork and it’s yours for our special introductory price! 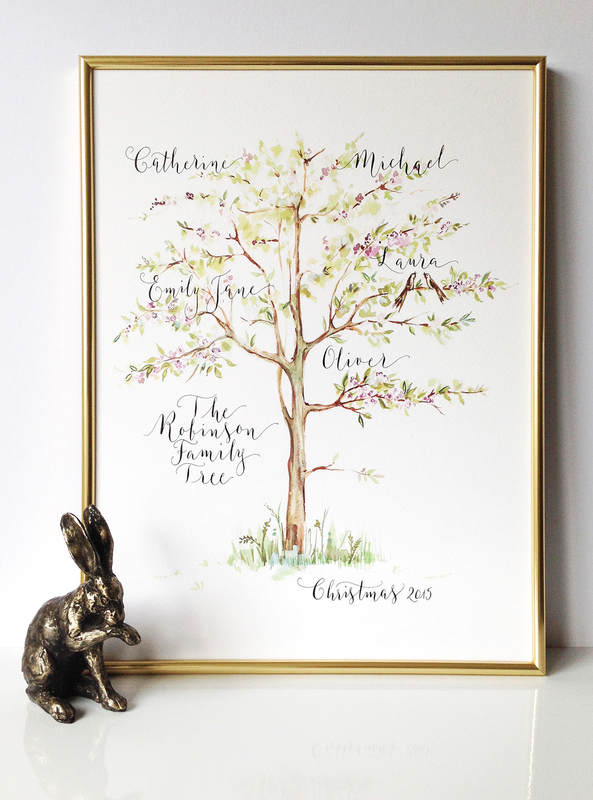 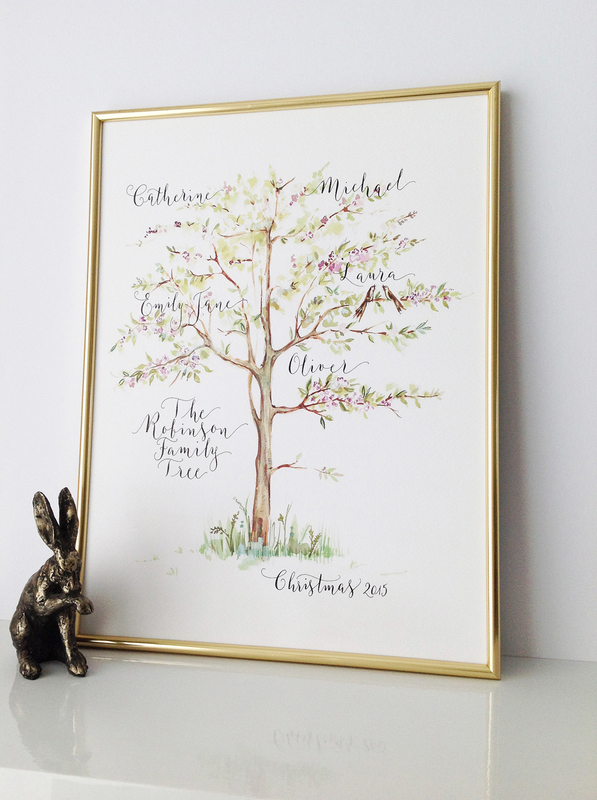 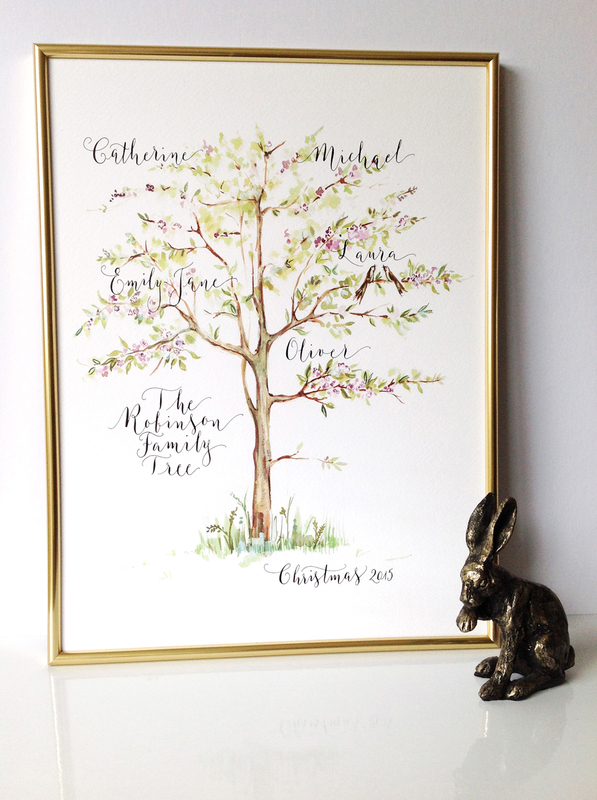 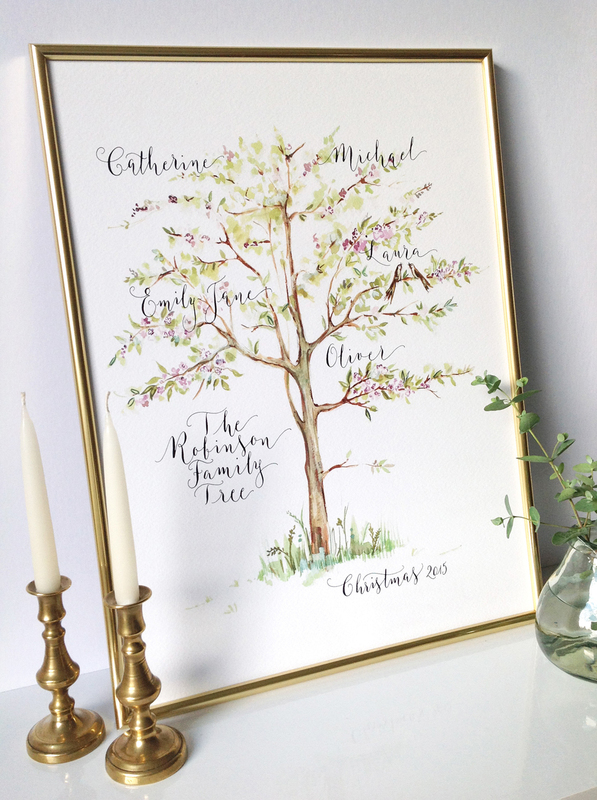 Celebrate your family this Christmas with a beautifully illustrated and personalised family tree, or give as a wonderful and unique gift! 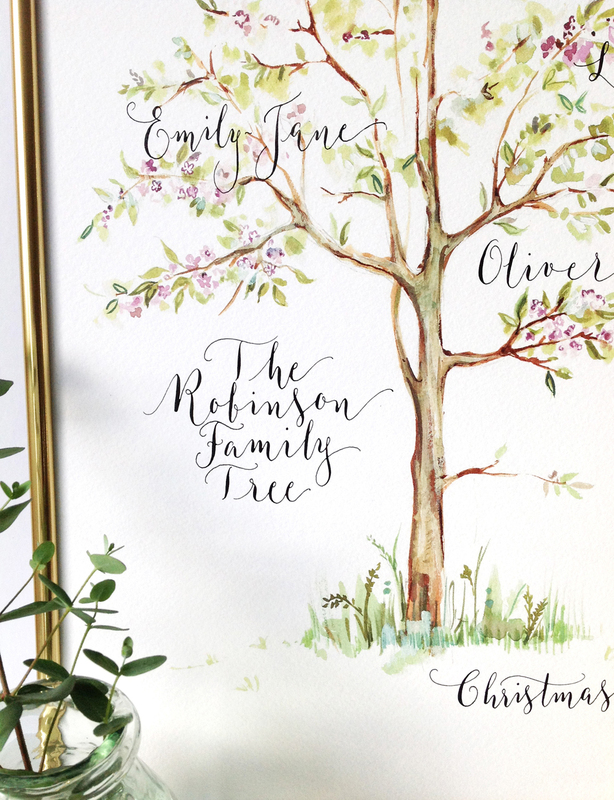 The magical tree is painted in a timeless style with fabulous attention to detail: there are even birds in the tree! 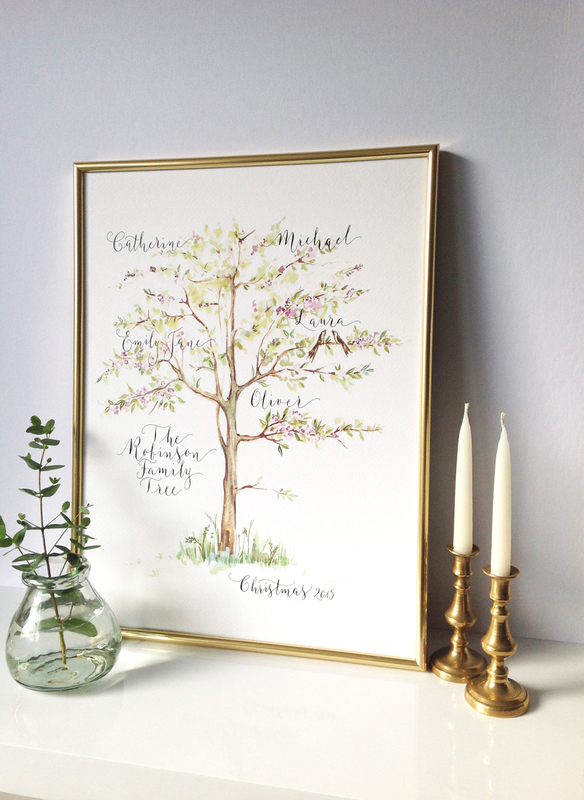 Your names will be handwritten in calligraphy amongst the leaves and between the branches of the tree. 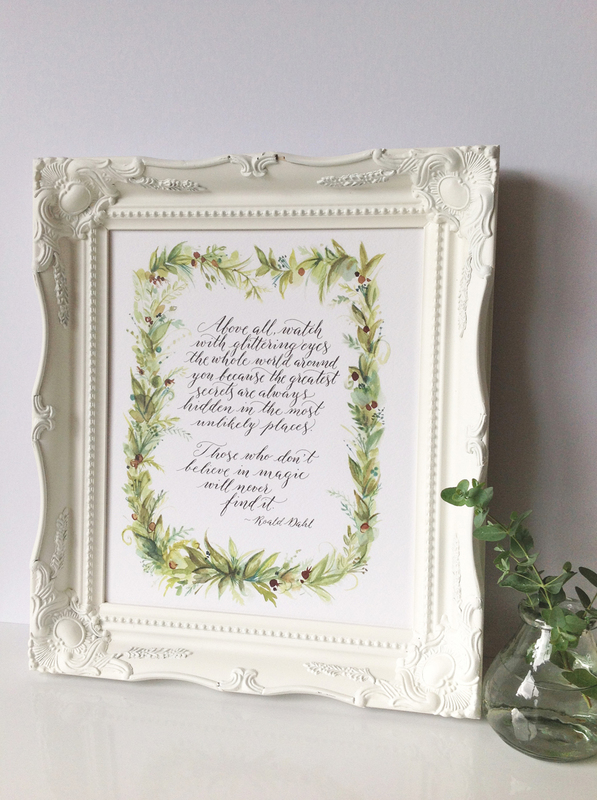 Above all, watch with glittering eyes the whole world around you because the greatest secrets are always hidden in the most unlikely places. 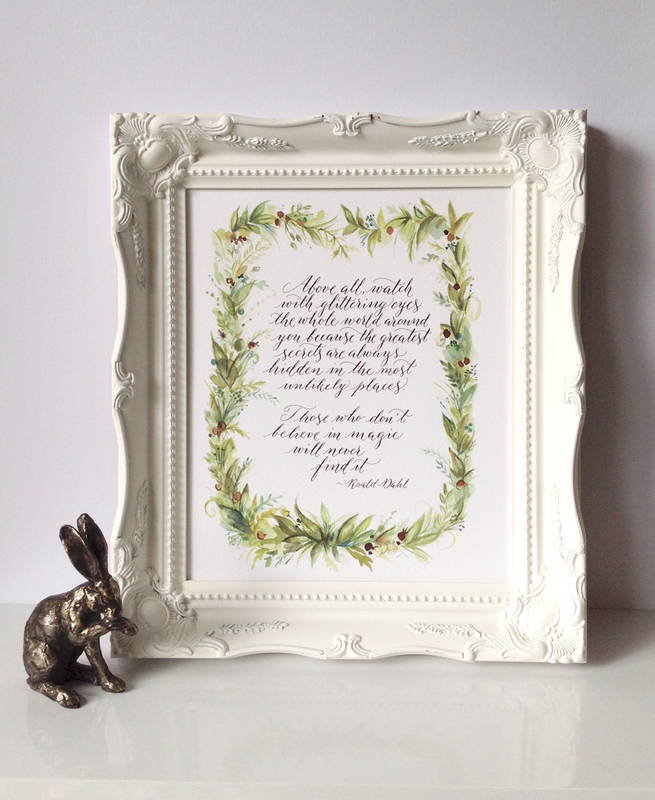 Those who do’t believe in magic will never find it. 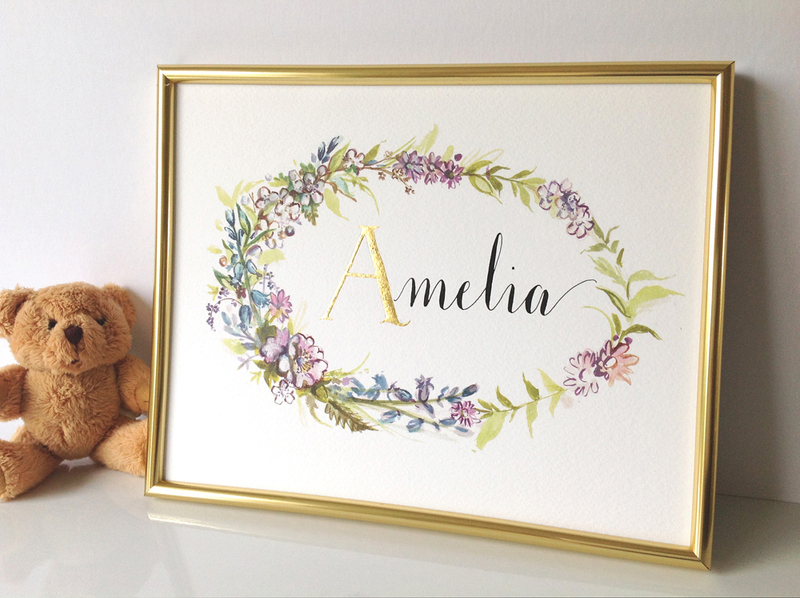 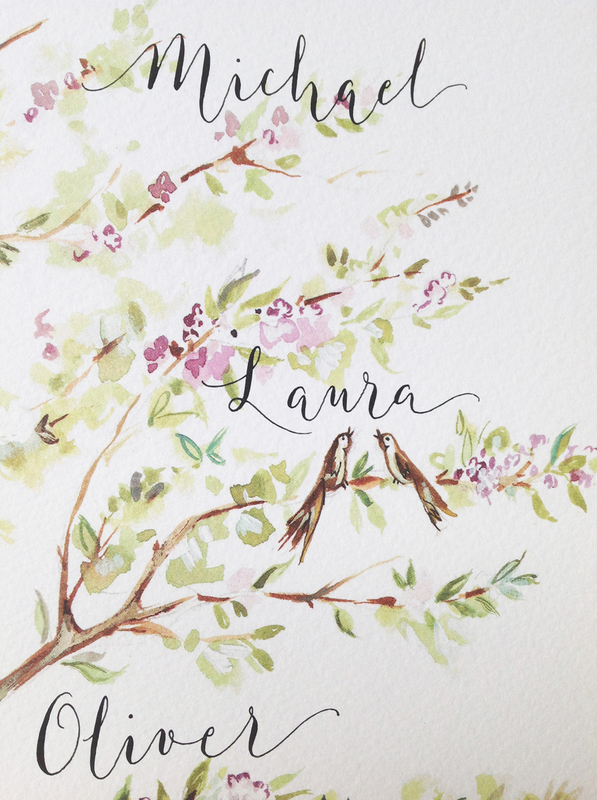 A wonderful gift for a little girl, sister or friend – this personalised name print combines beautiful illustration with modern handwritten calligraphy, and is finished with real gold! 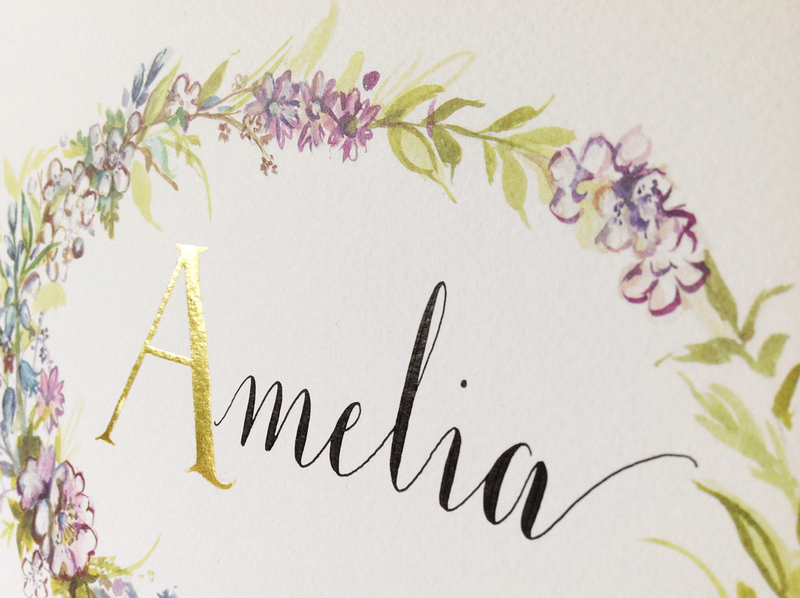 The first letter of your name will be written in 22 carat gold leaf – all by hand. 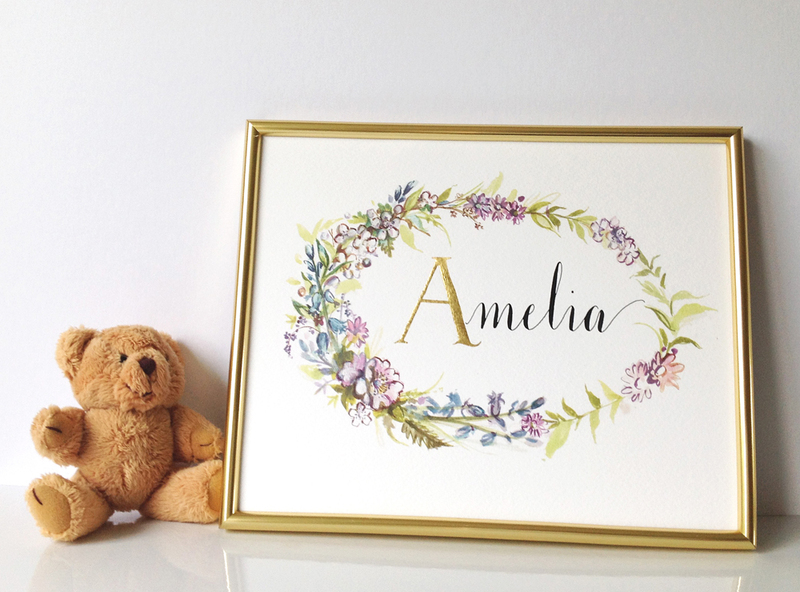 The letters of your name will be in black ‘Moon Palace’ ink, which makes a fabulous contrast with the pretty floral wreath illustration in shades of blue and pink with lush foliage.